Anticipated position available immediately. Minimum of an LPN license is required. 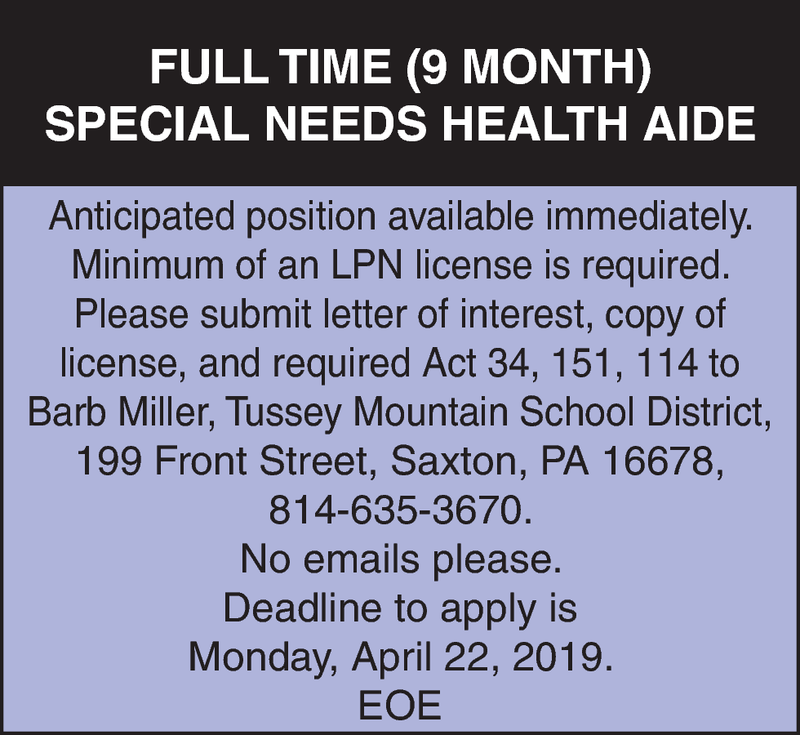 Please submit letter of interest, copy of license, and required Act 34, 151, 114 to Barb Miller, Tussey Mountain School District, 199 Front Street, Saxton, PA 16678, 814-635-3670. Deadline to apply is Monday, April 22, 2019.